Psychological Trauma: Neuroscience, attachment and therapeutic Interventions. Trauma-induced loss of brain integration: Use of muscle biofeedback and acupressure to release trauma and reintegrate brain function, utilizing LEAP®. "LEAP® (Learning Enhancement Advanced Program), developed by the presenter while recovering from a severe spinal cord injury, is based on the premise that all learning depends on the synchronized timing of neural activity in the brain. 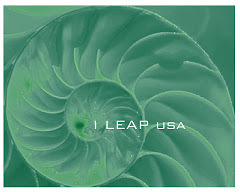 LEAP® Brain Integration seeks to re-establish the synchronized timing of brain activity through acupressure and other techniques based on Chinese medicine, combined with modern muscle biofeedback techniques. This workshop will demonstrate various techniques involving the assessment of brain integration via direct muscle monitoring, as well as acupressure techniques that rapidly release extreme states of arousal in order to defuse traumatic feelings." To register: International Trauma Conference. Former professor and analytical chemist, Dr. Krebs has authored two books and developed the i-LEAP program for the correction of learning and brain de-synchronization issues. He researches, teaches and lectures on Kinesiology and Neurology in Australia, Germany, the UK and the USA.